Within sports there are many fundamental movements that are needed to be successful. These movements can consist of the ability to start and stop, jump from side to side and high as you can, to pulling your body to perform certain specific movements. To be successful all these movements must be done as fast, strong, and efficient as possible. All these capabilities can be applied to any sport-specific movement whether it is throwing a ball, jumping into a sand pit, or moving around bars or tumbling. These capabilities must be continuously worked on to ensure proper growth and to increase athletic ability. The NSCA, National Strength and Conditioning Association, recently released guidelines for the purpose of long-term athletic development. Long-term athletic development pathways should accommodate for the highly individualized and non-linear nature of the growth and development of youth. Youth of all ages, abilities, and aspirations should engage in long-term athletic development programs that promote both physical fitness and psychosocial well-being. All youth should be encouraged to enhance physical fitness from early childhood, with a primary focus on motor skill and muscular strength development. Long-term athletic development pathways should encourage an early sampling approach for youth that promotes and enhances a broad range of motor skills. Health and wellbeing of the child should always be the central tenet of long-term athletic development programs. Youth should participate in physical conditioning that helps reduce the risk of injury to ensure their on-going participation in long-term athletic development programs. When a child goes to youth sports practices they spend a lot of their time on developing individual skills, such as how to pass a ball versus how to shoot a ball in soccer. In all sports there are thousands of different skills and ways to develop them. Sports performance is used to develop the very basis of athletic movements to learn and perform the different skills in sports. So much time is spent day after day learning different skills in sports. It makes sense to put in the same effort to develop the absolute basis of these skills. By developing the skill and not the basic athletic movement behind the skill, it then is either incomplete or less efficient. This is very similar to being able to crawl, then walk, then run. Sports performance skills and exercises consist of a lot of variety. For example, being able to stabilize and control your body weight on one leg while moving in another direction as quickly as possible. This skill is seen in sports such as football, soccer, and basketball when making a quick cut or running a route. The athlete must be able to control the different skills within that motion such as being able to stabilize the weight on one leg then be able to push off that leg and accelerate to lose the defender. These are two separate skills within one very common athletic movement that must be developed. These skills also have the basis of developing strength, agility, and coordination. 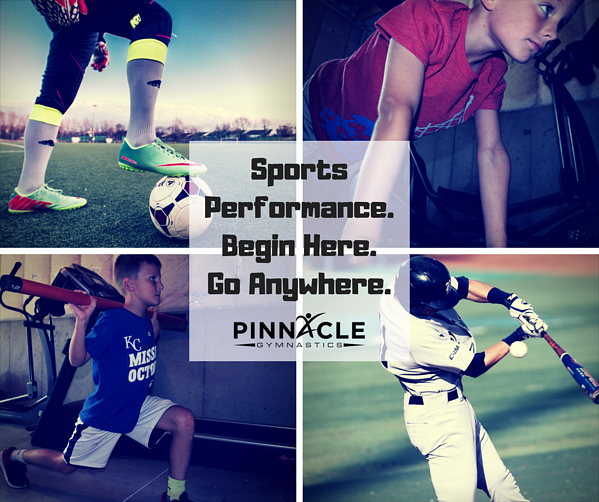 Similar with all other forms of athletics, there are a variety of skill levels in sports performance. It starts with building the basic strength, coordination, and technique necessary to perform athletic movements. One perfect example of this is learning proper running mechanics. Sprinting requires strength, mobility, and a lot of technique. The more efficient an athlete’s running form is, the faster they will able to be. While there are many other factors within an athlete’s running speed, for their specific athletic ability, proper running technique will allow for them to become faster. The sprinting mechanic process will then increase in difficulty for how much force the athlete can generate into the ground with foot contact and their ability to push forward. This aspect is very similar to dropping versus throwing a golf ball on the ground. If you drop a golf ball is will bounce back up close to the same distance it was dropped from. However, if you throw a golf ball on the ground it moves hundreds of times faster and goes much higher into the air. The same principle can be applied to sprinting if proper form is still occurring. The more effective force is put into the ground while sprinting, the faster the athlete will be able to run. There are always skills to work on within athletics, the stronger an athlete is with the basic physical capabilities the more successful they will be with sports specific skills. This will not only improve the physical abilities within athletics, but also their confidence and mental capabilities as well. They will pick up new sports-specific skills faster and by being more successful it will create confidence and a hard work ethic to continue to get better. Hope to see you in training soon! P.S. Have a younger child? 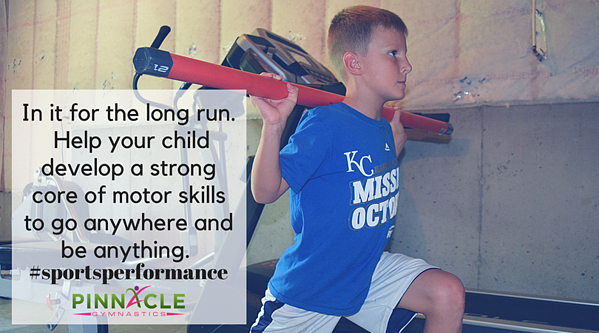 Check out agility and ninja classes for kids to begin developing these core motor skills at a young age!